Mr. Fox has more than 35 years of trial experience representing clients in complex commercial litigation with a focus in unfair competition matters involving non-compete violations and misappropriation of confidential information and trade secrets. He also represents banks and financial institutions in complex lending and work-out litigation. An experienced litigator, Mr. Fox has successfully represented clients in more than 30 jurisdictions in the United States and European Union. 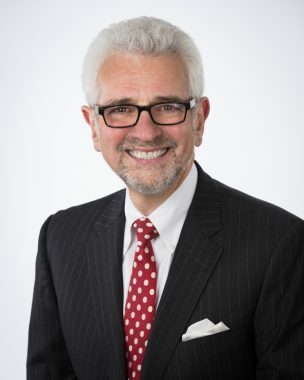 As a Minnesota State Bar Association Certified Civil Trial Senior Specialist, he has represented clients in all state and federal trial and appellate courts in Minnesota. Mr. Fox serves as the firm’s Chief Executive Officer. He is a member of the Federation of Defense and Corporate Counsel and a Master of the Warren E. Burger Inn of Court. Decision affirming summary judgment on liability for breach of contract and tortious interference claim together with jury verdict and seven-figure judgment, including attorneys’ fees award; St. Jude Med., S.C., Inc. v. Biosense Webster, Inc., 818 F.3d 785 (8th Cir. 2016). Decision sustaining judgment as a matter of law enforcing Sales Representative Agreement and dismissing $30 Million Counterclaim; St. Jude Med. S.C., Inc. v. Tormey, 779 F.3d 894 (8th Cir. 2015). Affirming summary judgment dismissing medical device products liability claim on grounds of federal preemption and granting cross-appeal holding that claim was also barred by the statute of limitations in the Minnesota Wrongful Death Statute; Lamere v. St. Jude Medical, Inc., 827 N.W.2d 782 (Minn. Ct. App. 2013). Affirming summary judgment dismissing gender discrimination and federal whistleblower claims; Hilt v. St. Jude Medical SC, Inc., 687 F.3d 375 (8th Cir. 2012). Certified question determining choice-of-law issues and applicability of Minnesota’s longer six-year statute of limitations to out-of-state products liability claims; Fleeger v. Wyeth, 771 N.W.2d 524 (Minn. 2009). Decision affirming dismissal of medical device products liability claims on grounds of federal preemption; Gomez v. St. Jude Med. Daig Div., Inc., 422 F.3d 919 (5th Cir. 2006). Opinion holding that the insured of an insolvent insurer remains liable for any amounts beyond the statutory liability limit in the Minnesota Insurance Guaranty Association Act; Goodyear Tire & Rubber Co. v. Dynamic Air Inc., 702 N.W. 2d 237 (Minn. 2005). Opinion in successful appeal reversing $45 million judgment in federal false claim action; United States v. Basin Elec. Power Coop., 248 F.3d 781 (8th Cir. 2001). Opinion establishing viability of dual motive discharge defense in federal false claim/whistleblower action; Norbeck v. Basin Electric Power Coop., 215 F.3d 848 (8th Cir. 2000). Opinion establishing principles governing termination of indefinite supply agreements and related arbitration/appraisal issues; Plainview Milk Products Coop. v. Marron Foods, Inc., 3 F. Supp. 2d 1074 (D. Minn. 1998). Expansive opinion establishing many principles of requirements contracts between merchants under U.C.C. Article 2 and striking opponent's redundant and groundless expert reports; Upsher-Smith Labs. v. Mylan Labs., 944 F. Supp. 1411 (D. Minn. 1996). Opinion granting Summary Judgment in Declaratory Judgment action involving corporate acquisition; Cenex, Inc. v. Arrow Gas Serv., 896 F. Supp. 1574 (D. Wyo. 1995). Opinion dealing with law governing mergers of national banks; NoDak Bancorporation v. Clarke, 998 F.2d 1416 (8th Cir. 1993). First federal appellate court opinion establishing principle of enforceable single color trademarks. Cited as authority in subsequent Supreme Court opinion establishing principle nationwide in Qualitex Co. v. Jacobson Prods. Co., 514 U.S. 159 (1995); Master Distribs., Inc. v. Pako Corp., 986 F.2d 219 (8th Cir. 1993). Opinion establishing comity principles of staying duplicative dealer termination action in deference to prior foreign (Canadian) proceedings; Boushel v. Toro Co., 985 F.2d 406 (8th Cir. 1993). Opinion establishing principle that enforceable noncompetition covenant can be defined in terms of “conflicting product” and “conflicting organization” without express geographic limitations. Also first case to establish that unreported Minnesota Court of Appeals’ decisions have no precedential value pursuant to Minn. Stat. § 480A.08. Noted in 21 Wm. Mitchell L. Rev. 301 (1995); Dynamic Air Inc. v. Bloch, 502 N.W.2d 796 (Minn. Ct. App. 1993). Opinion establishing many principles of South Dakota law concerning noncompetition agreements, misappropriation of trade secrets, and related recovery of compensatory damages, punitive damages and attorneys' fees; CENTROL, Inc. v. Morrow, 489 N.W.2d 890 (S.D. 1992). Opinion dealing with standards of accounting malpractice; Toro Co. v. Krouse, Kern & Co., 827 F.2d 155 (7th Cir. 1987). Opinion dealing with injunctive relief in dealer terminations; Lano Equip., Inc. v. Clark Equip. Co., 399 N.W.2d 694 (Minn. Ct. App. 1987). Opinion dealing with fraud and res judicata in international loan work out transaction; Hansen v. Am. Nat’l Bank, 396 N.W.2d 642 (Minn. Ct. App. 1986). Opinion dealing with misappropriation of computer trade secrets and enforcement of confidentiality and noncompetition agreements; Aries Info. Systems, Inc. v. Pac. Mgmt. Systems Corp., 366 N.W.2d 366 (Minn. Ct. App. 1985). Opinion dealing with many issues in sustaining jury verdict on dram shop claim; Newmaster v. Mahmood, 361 N.W.2d 130 (Minn. Ct. App. 1985). Opinion dealing with injunctive relief to enforce competitive bidding statutes; Sperry Corp. v. City of Minneapolis, 680 F.2d 1234 (8th Cir. 1982). Opinion dealing with construction of commercial comprehensive general liability policy; Bor-Son Bldg. Corp. v. Employers Commercial Union Ins. Co. of Am., 323 N.W.2d 58 (Minn. 1982). Affirming summary judgment on liability for breach of contract and tortious interference followed by seven-figure jury verdict for damages, including attorneys’ fees award of $662,018.94; St. Jude Medical SC, Inc. v. Biosense Webster, Inc., No. 14-3886 (8th Cir. Apr. 12, 2016). Granting Temporary Restraining Order enforcing confidentiality/trade secret protections, settled at mediation, January 2016; St. Jude Medical, Inc. v. Neovasc (US) Inc., et al., No. 62-cv-15-3094 (Ramsey Cty. Dist. Ct. May 11, 2015). Unfair competition, affirming jury verdict of $1.4 Million, including an attorneys’ fees award of attorneys’ fees of $776,000; St. Jude Med. S.C., Inc. v. Biosense Webster, Inc., 2013 Minn. LEXIS 765 (Minn. Dec. 17, 2013). Decision affirming summary judgment confirming validity and enforceability of term-of-years employment agreement in breach of contract and tortious interference suit resulting in seven-figure jury verdict, including attorneys’ fees award; St. Jude Med. S.C., Inc. v. Biosense Webster, Inc., 2013 WL 5508389 (Minn. App. Oct. 7, 2013), review denied (Minn. Dec. 17, 2013). Dealer termination matter enforcing Minnesota choice-of-law and forum-selection provision and rejecting claimed applicability of New Jersey Franchise Practices Act; B-Jays USA, Inc. v. Red Wing Shoe Company, Inc., Civil Action No. 2: 15-cv-02182-SDW-SCM (D.N.J. Oct. 6, 2015). Affirming summary judgment dismissing pharmaceutical products liability claim for failure to establish general causation under Frye-Mack standard; Zandi v. Wyeth, 2009 Minn. App. Unpub. LEXIS 785 (Minn. Ct. App. July 21, 2009), review denied (Minn. Sept. 29, 2009). Decision affirming dismissal of medical device products liability claims on grounds of federal preemption; Rollins v. St. Jude Med., 583 F. Supp. 2d 790 (W.D. La. 2008). Decision dismissing fraud and trademark termination claims in dealer termination case; Pinkston v. Outdoor Equipment Distributors, Inc., 2007 WL 3028330 (W.D.N.C. Oct. 15, 2007). Opinion reversing summary judgment and holding that Bank’s set-off rights are not limited by recent amendments to the mechanic’s lien statute that contractors hold contract payments in trust for protection of owners and subcontractors; U.S. Fid. & Guar. Co. v. Excel Bank Minn., No. A04-726, 2004 WL 2940855 (Minn. Ct. App. Dec. 21, 2004). Summary judgment enforcing right to royalty payments under international licensing agreements with French conglomerate; Dynamic Air, Inc. v. Boccard S.A., No. 01-2148, 2003 WL 22097789 (D. Minn. Sept. 4, 2003). Summary judgment enforcing multi-state financing and Article 9 security agreements against debtors and guarantors awarding a $3.5 million money judgment, including attorney’s fees; Toro Credit Co. v. PowerHouse Equip., Inc., No. 01-2349, 2002 WL 31761560 (D. Minn. Jan. 10, 2003). Opinion denying B-JAYS’s motion to dismiss for lack of personal jurisdiction; Red Wing Shoe Co. v. B-JAYS USA, Inc., No. 02-257, 2002 WL 724237 (D. Minn. Apr. 19, 2002).